Start-up companies that begin with us are like watching a child grow. Giving them a guiding hand in their prosperity and can only root for them to go further and become strong. 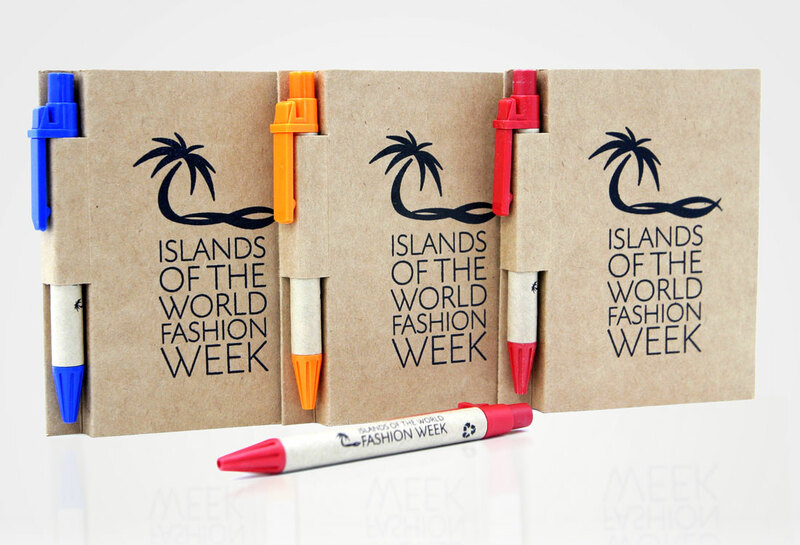 Islands of the World Fashion Week (IWFW) is one of those companies who came to us from the start. From logos, color palate, imagery, stationery, advertising, we are proud to say that this November is the 3rd year, building and growing the brand and event stronger each day. This year we were asked to concept a ‘pocket-size’ eco-friendly promo item to appeal to buyers and fashionistas alike in order to take notes on designers, designs and orders for the season. We wish our friends all the success again this year, and we look forward to starting an equally successful relationship in the near future with you.